First, let me be one of many to wish you a Happy and prosperous New Year! Not sure how I managed to not blog for a month, but I have a feeling it may be something to do with all of the painting and work on our kitchen, which has rather hampered my sewing. In fact, other than a little hexy prep and finishing off the embroideries for my girls' rooms, it's been slim pickings on the sewing front. After 2 and a half years of working on it intermittently, I finally finished the hand made hexy quilt for my little girl, and we keep it on the sofa for snuggly pretty much on a daily basis. 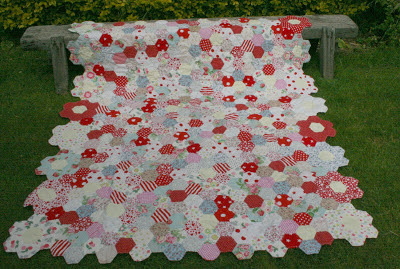 And with that in mind, I have started on Hexy Quilt 2, for the impending arrival of baby number 2. The hexies are a little smaller than in the original, but that's because instead of hand cutting them (I wouldn't advise this for such a large project!!) I have used my Sizzix die to cut the papers for uniformity. This was about 6 weeks ago, it's grown significantly since, may be to do do with all of the Christmas sweets/food I've been eating!! Hey look at you! You've changed a bit. 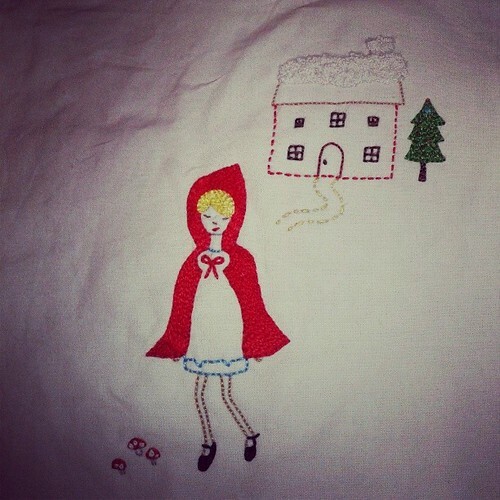 The hexies are lovely. How did you join them to the back? Well I say that you are making the best project of all!!! Enjoy the last few weeks before baby arrives!!! Quality not quantity, and the hexagon quilt is just gorgeous! 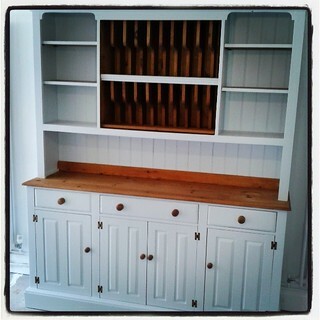 Love the dresser in the kitchen too. 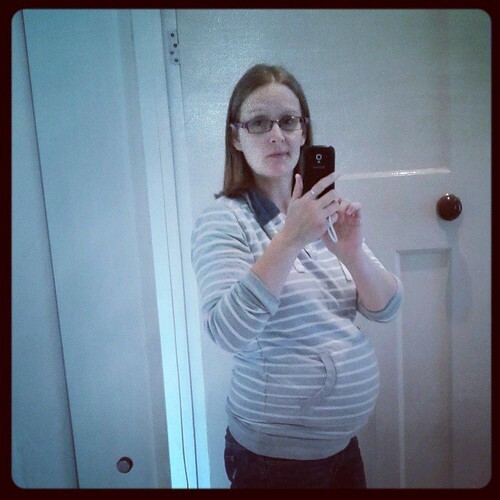 Hope your bump is behaving! I bet you are ready to have that baby already. 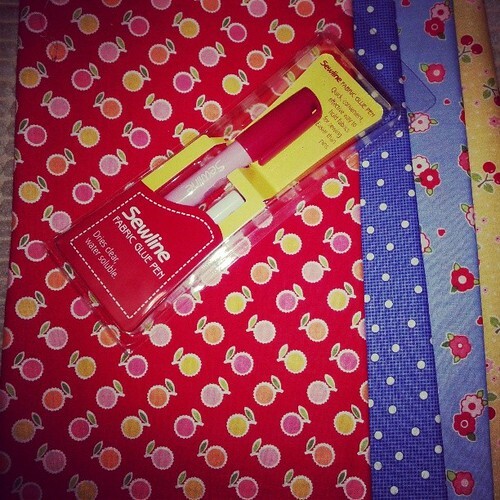 I love your kitchen dresser and the hexie quilt is stunning. I bet it is fun making another. Trust Katy to lower the tone! But seriously, only six weeks? How did that happen? Looking nicely rounded there Ange ;). 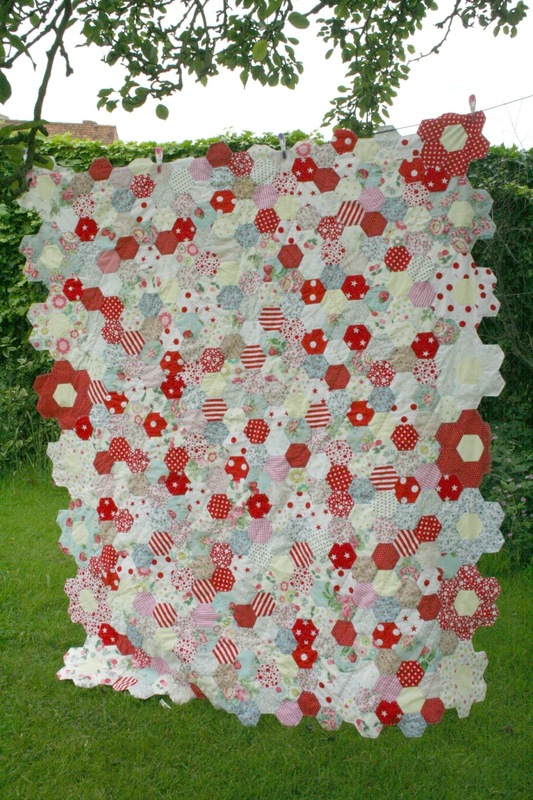 Love that Hexie quilt! Happy new year! It's going to be an exciting one, for sure! Perfect bump! I have one photo of me being pregnant with each child and I only took them as proof to the children that I really did have them!!! 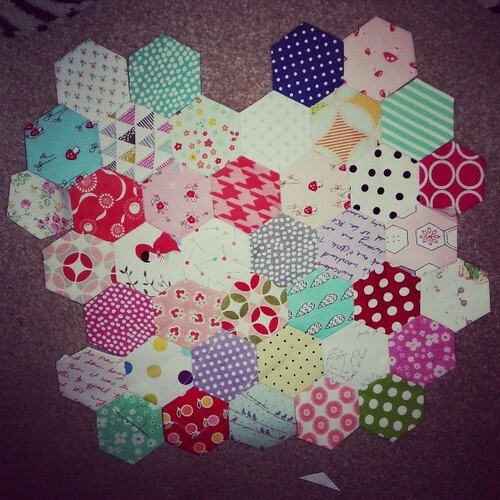 I love your hexagon quilt, a brilliant finish for 2013 and I can't wait to see the progress of No.2! 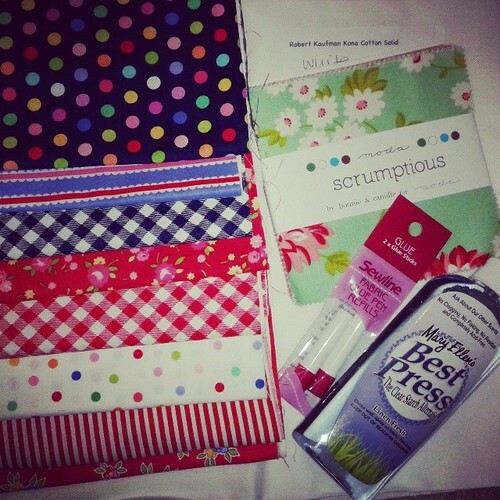 That blue polka dot from pam kitty is one of my favourite fabrics, I think I can see myself hoarding that!! I can't believe it's only 9 weeks to go!!! You look amazing Ange and considering what you have had on your plate, you have done amazingly!! I love that hexy quilt! !